This first part of my two-part annual South Australia report generally covers the northern half of this vast region, focusing mainly on the regions of Clare Valley, Barossa Valley, Eden Valley and Adelaide Hills. This report includes just over 200 tasting notes mainly from wineries that are actively selling internationally. These largely fall into one of three categories: 1) those coming from well-established 30+ year-old wineries that, like their ancient vines, have the quality foundations to weather the vagaries of difficult times (think Henschke, Yalumba, Jim Barry, Elderton, etc. ); 2) the 10- to 30-year-old wineries that survived the storm by being not just a cut above the rest, but several cuts above the rest (e.g. Torbreck, John Duval, Glaetzer, and Hentley Farm); and 3) a precious few newcomers that have managed to get overseas representation, because they are seriously impressive (e.g. Powell & Son and Sons of Eden). While the Australia category in major markets around the world seems to be holding its own right now, malingering consumer apathy has resulted in a slow burn for many, many South Australia producers in particular who just can’t seem to catch a break. And yet the secrets of the survivors’ and seemingly lucky newcomers’ successes in the international wine sales scene couldn’t be more plain. In a rapidly evolving wine market – where wine faults and vintage-related ripeness/concentration issues are, for the most part, things of the past, it is not good enough to make good or very good wine anymore. Perhaps it goes without saying that the international buyer doesn’t want to fork out $20+ for anything less than outstanding from South Australia. But what’s adding fuel to this slow burn is the dawning realization that intrinsic quality is only half the bottle, er battle. 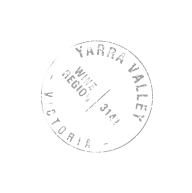 Post the days of critter labels and sunshine in a glass, South Australia wine consumers are now also seeking that intangible interest factor that can only be evoked by a wine’s embodiment of very special places and/or people. In the glass, that equates to a unique signature. And therein lies the rub. “It was the best of times, it was the worst of times,” would, I think, be an apt (borrowed) opening line to the story about South Australia’s heydays of the early noughties. The good times spawned an ethos of winemaking and business mindset that has been hard and in some cases impossible for South Australia producers to escape. The silver lining for consumers is that even though the international shelves are stocked with a lot less South Australia wines, the choices are greater and a lot more exciting. Enjoy!